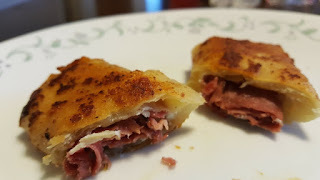 Fried Beef Rolls are an awesome afternoon snack, appetizer, or lunch! These are so easy to make that they are sure to become one of your favorite easy recipes! I found a great deal on egg roll wrappers (25 cents a package!!) so I had to make something with them. A quick glance in my fridge and these are the ingredients I settled on. 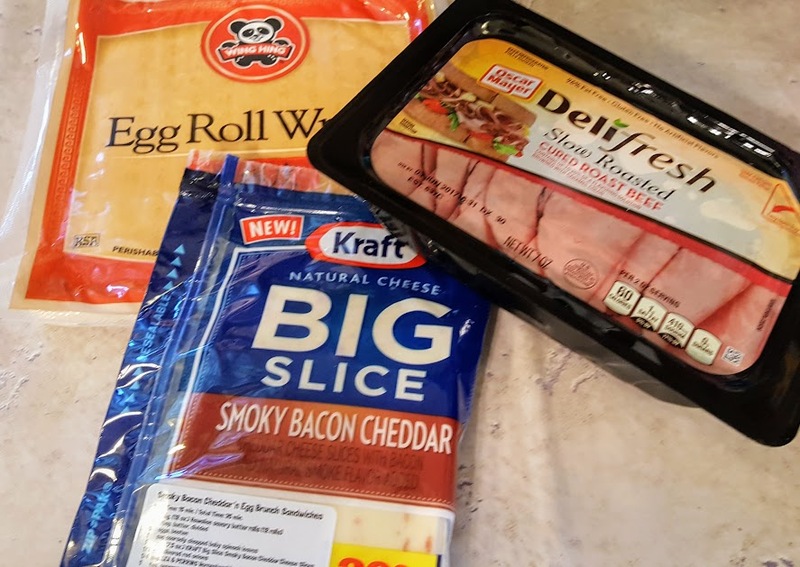 Layer 2 slices of roast beef and one slice of cheese into an egg roll wrapper. "Tuck" the ends in, then roll the wrapper. Brush with water to seal. Heat 1 to 2 cups of vegetable oil in a medium size pot over medium heat, then drop the beef rolls into the oil carefully. Allow to cook for about 3 minutes, or until crispy and golden brown, then turn and cook an additional 2 to 3 minutes. Allow to drain on paper towels to reduce the grease. After I made a few with beef and cheese, and my family declared them delicious. I tried adding a pickle to the center. It was awesome and reminded me of Cuban sandwiches in a way. 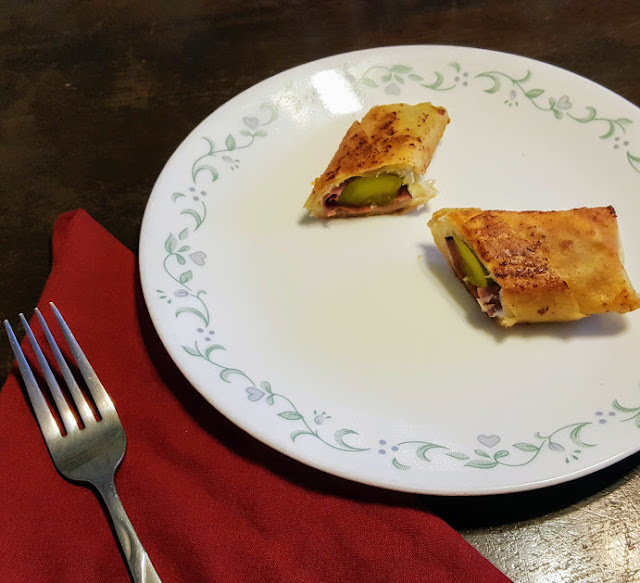 Have you ever made a unique egg roll at home? 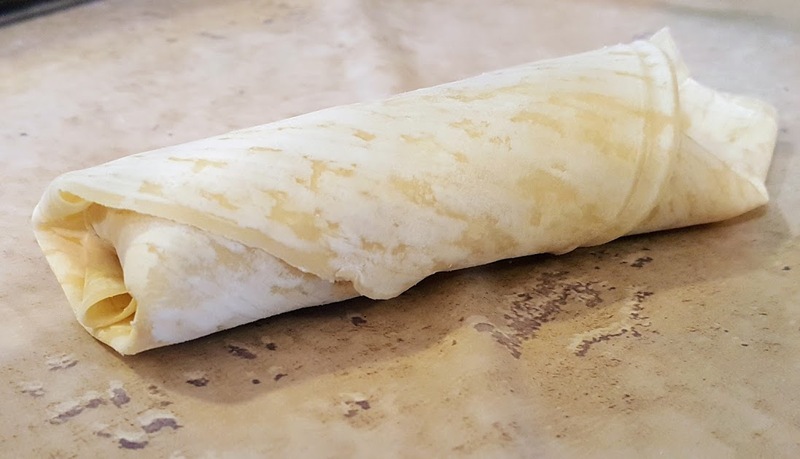 You might also want to check out my cheese stick crab cake recipe or this cheesy chicken taquito recipe.